A fresh tasting salad that is sure to please everyone. 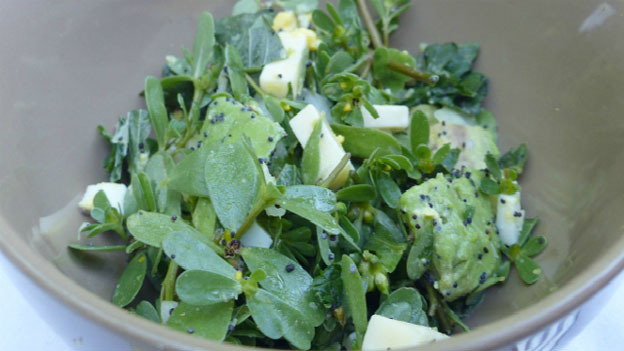 Place into a bowl the purslane, chickweed, pigweed and onion. Add the avocado and the egg. Mix in the cheese. Drizzle the lemon over the salad, add the garlic salt, and mix well. If desired sprinkle with seeds of your choice.